Youtube will show off its new VP9 codec at the upcoming CES show. The codec is an alternative to the current H.265 codec that has been used for 4K streaming until now. With interest from no less than 19 hardware makers, Youtube will likely have no trouble licensing the VP9. 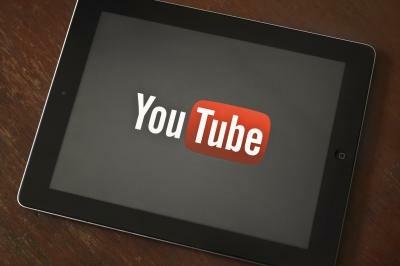 YouTube will be on hand during next week's Consumer Electronics Show in Las Vegas to showcase 4K video streaming. But instead of using the traditional H.265 video codec to get the job done, the Google-owned company will rely on a new royalty-free codec developed in-house known as VP9. Whether or not Google will be able to drum up interest in the codec, however, remains to be seen. The search giant launched the VP8 video codec back in 2010 which many believed would become the go-to option for real-time communications and plugin-free video streaming. A lack of hardware support and opposition from those looking to make money from a commercial video format, however, prevented VP8 from becoming a mainstream success. For VP9, Google is getting its duck in a row ahead of the fact. YouTube recently released a list of 19 hardware partners that have vowed to support the new codec including ARM, Broadcom, Intel and Marvel. And at CES, YouTube will be demonstrating 4K streaming at the booths of LG, Panasonic and Sony. You'd think that with such a strong focus on VP9, YouTube would be putting every resource possible behind the codec. But that isn't the case according to Francisco Varela, global director of platform partnerships at YouTube. In a recent interview with Gigaom, the executive said this certainly isn't a war of the video codecs and left open the possibility that YouTube might add H.265 support at some point.